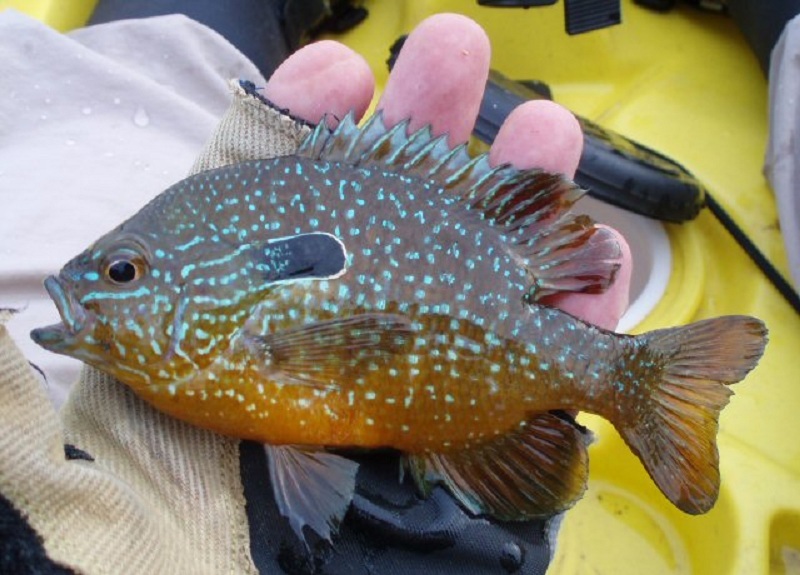 A Longear Sunfish is a strikingly colorful fish under the right lighting conditions. Silver, blue, red, green, yellow, orange, gold—all the colors of the rainbow. 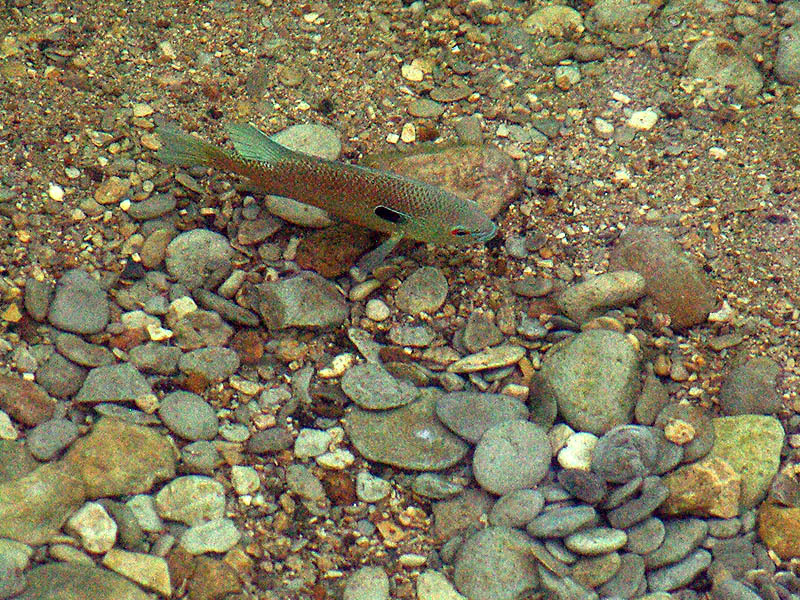 You can only get a hint of the vivid nature of this fish’s coloration from the photographs below. Male Longear Sunfish build and defend nests for the purposes of reproduction. 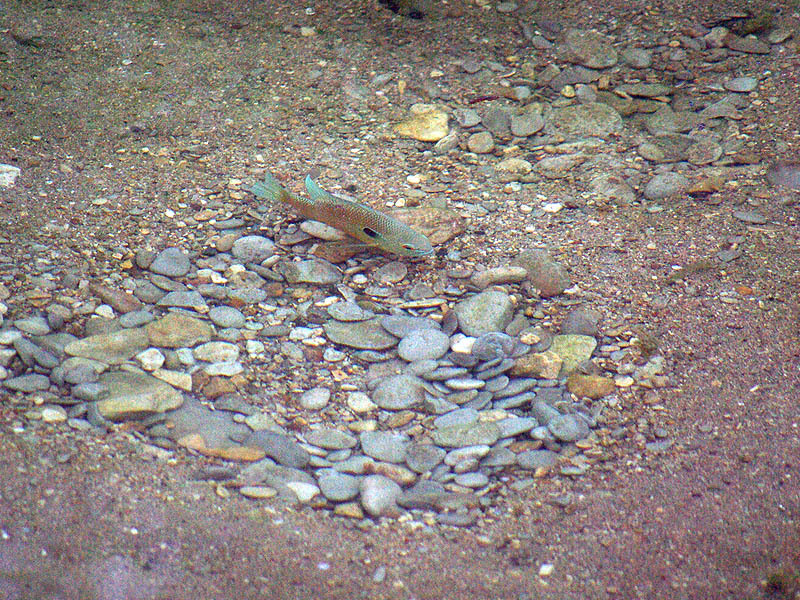 Preferred nesting locations will have areas of gravel that can be exposed by the fanning of the sunfish’s tail. 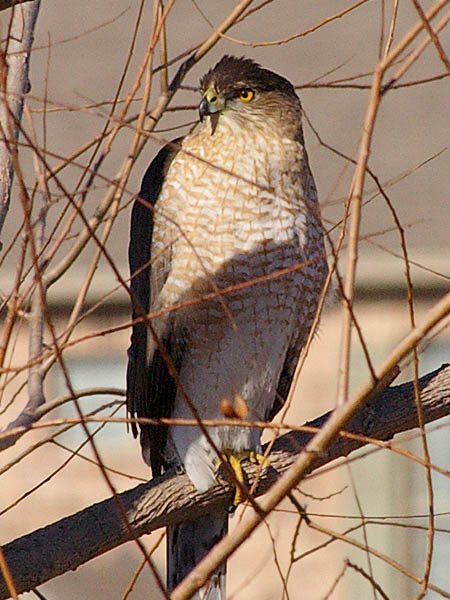 Multiple nest are usually found together forming loose colonies. 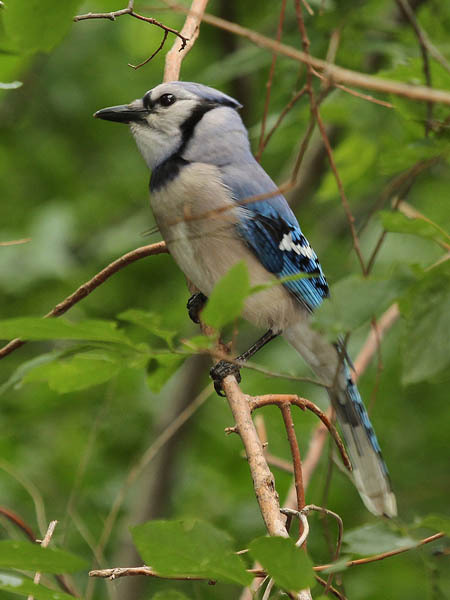 Males attempt to attract females into their nest where spawning will occur. Afterwards, the male will drive away the female, and continue to guard the nest from all comers even after the young have left. That is what is occurring in these photographs. This male is diligently protecting his nest from all other fish in his general vicinity. I watched him chase away several different fish while I was on site. It is not clear what phase of reproduction this male is overseeing. 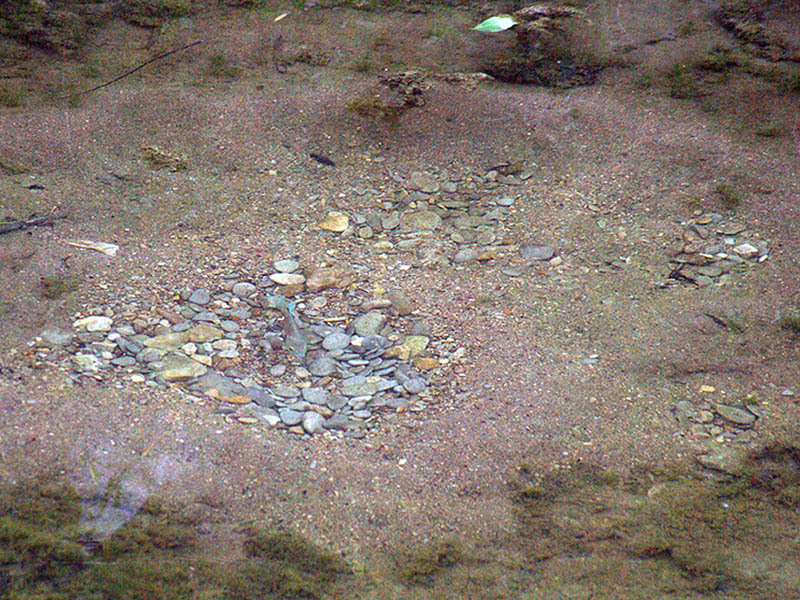 There are five sunfish nests visible in this photograph. Only the large one near the center of the picture is currently occupied. 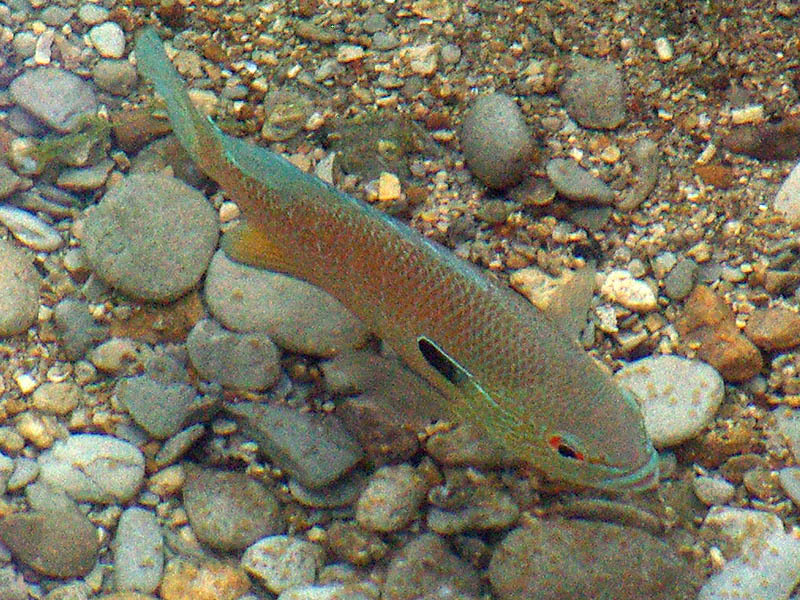 A photograph from Wikimedia Commons illustrating the striking coloration of the Longear Sunfish.